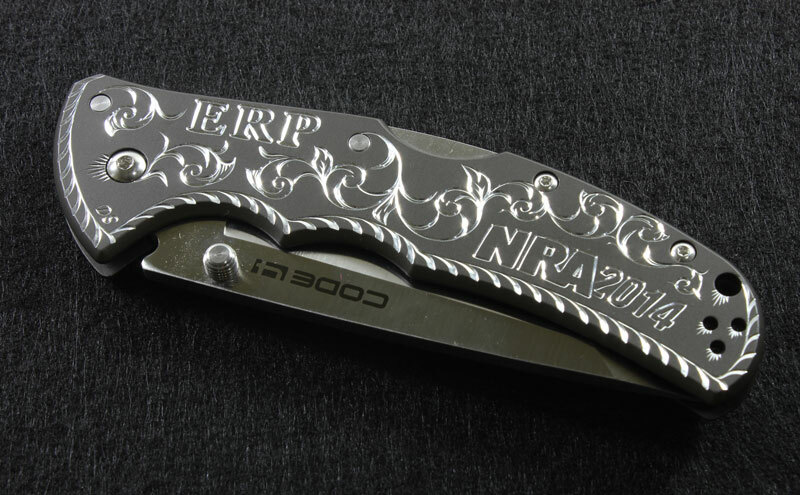 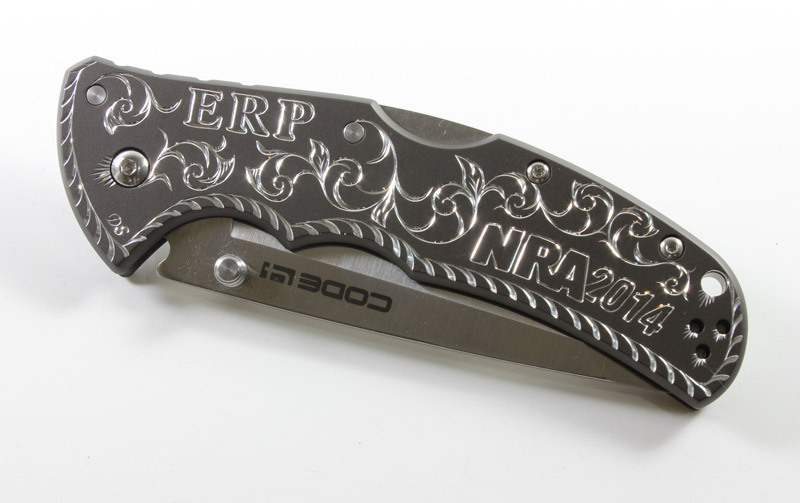 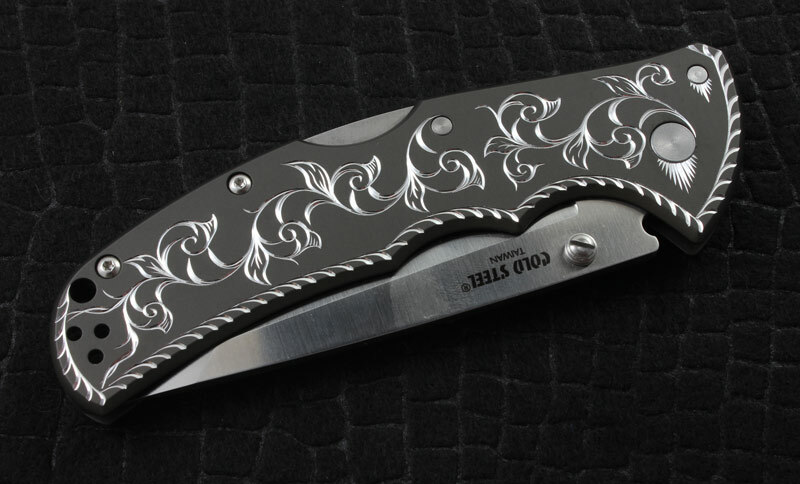 This One-of-a-Kind Code 4 folding knife was hand engraved for the NRA 2014 annual show! 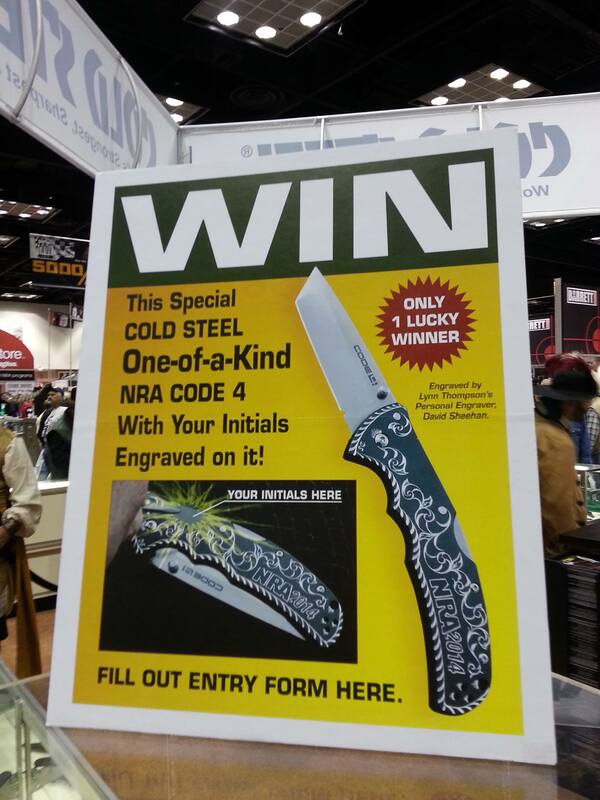 Over 1000 people signed up at the booth and once the winner was selected I engraved his initials to finish up the job! 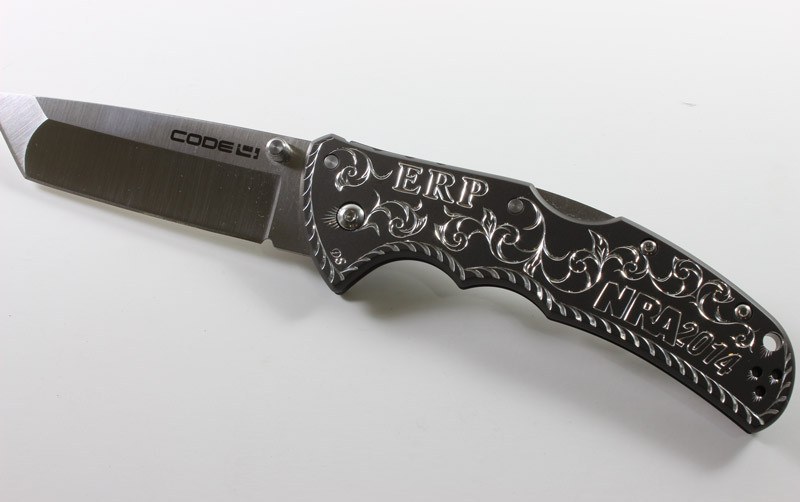 Of course his first name is Elvis!